In this article, I will present you 9 tips to boost collaboration with your eLearning design and development team. These tips and techniques can offer you and your eLearning team the chance to improve communication, streamline your efforts, and effectively handle any challenge that an eLearning project throws your way. 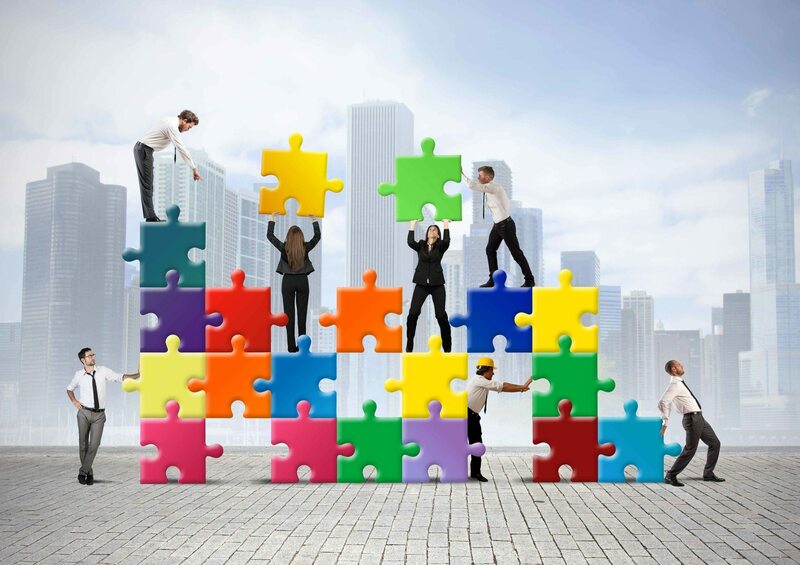 Every member of your eLearning team is like a piece of an intricate puzzle. If members work together, then the picture can begin to form and everything falls into place. The problem is that achieving true teamwork harmony is often easier said than done, especially in virtual work environments. However, there are a number of tips that can help you to boost the collaboration with your eLearning team, in order to provide your learners with the best possible educational experience. Clearly discuss expectations in advance. Clearly define what is expected of the eLearning team, as a whole, and of each individual separately within your team. Most importantly, what are the expectations of the client? Verify that everyone is on the same page at all times by creating a list of what is to be expected, in great detail. By doing this, you help to avoid conflicts and frustrations down the line, and ensure that there isn't any confusion as to what the desired outcome is, and how everyone fits into the big picture. You may even want to sit down (virtually or otherwise) with each of your eLearning team members to clear up any questions they might have and to stress the importance of meeting expectations that have been set. Make sure everyone is aware of the eLearning project’s goals and objectives. Everyone on your eLearning team should be aware of the primary learning objectives or goals of the eLearning project. Let everyone know exactly what the desired outcome is, and the strategy by which you are going to achieve that outcome. This is crucial, due to the fact that the goals and objectives will serve as the foundation for every piece of work that your eLearning team needs to complete as moves forward. Set up a virtual base of operations. For online teams, setting up virtual headquarters should be an absolute must. Project management platforms like Asana and BaseCamp offer you the chance to stay in touch with team members, assign tasks, keep in top of deadlines, and create a team calendar that includes important activities and milestones. Many of these project management platforms are free, best of all, which means that you can collaborate with ease, without spending a small fortune. Know your eLearning team members' strengths and weaknesses. Every member of your eLearning team has its own set of strengths, and the same can be said for weaknesses. As such, you should take the time to figure out what these are, so that you can make the best use of your team's talents and skills. This will provide you with the opportunity to fine tune their weaknesses by giving them tasks that may build certain skill sets or offer them invaluable experience that can help with their professional growth as they move forward. Everyone should know their assigned roles and responsibilities. There is a specific role that everyone of your eLearning team should play, and certain tasks or assignments that they will be responsible for. To clearly define roles and responsibilities enables you to streamline the work process while ensuring that everyone stays focused on their tasks. It can also give you the peace of mind of knowing that everyone is taking care of their assigned tasks, so that you can focus on the aspects of the eLearning project for which you are in charge. Send out updates and reminders to stay on track. Many of the project management platforms give you the ability to send out deadline reminders, assignment updates, and other notifications in order to ensure smooth communication between every member of your eLearning team. However, if you don't opt for automatic reminders, it's important to send out updates regularly, so that everyone stays on task and informed about any important changes. You should hold meetings at least once per week, especially if you have an abundance of work or several eLearning projects that you're working on at one time. These meetings can be held via Google Hangouts, Skype, or any other online chat program of your preference. During these meetings you can go over progress reports and discuss any issues that may have arisen since your last meeting. Encourage a communicative team culture. The key to a collaborative eLearning team is a communicative culture. Your eLearning team has to know that they are free to speak their minds, share their opinions, and address any concerns they may have. By encouraging every member to keep an open line of communication with another one, you can boost productivity and avoid any conflicts that may lead to project disruptions down the line. Assess the eLearning team's progress periodically and get feedback. A few times a month you may want to assess how your team is doing, what areas need to be improved upon, and which aspects of your communication and team work strategy are working. You may also want to get feedback from your eLearning team. Get their honest opinions regarding the overall structure of the eLearning team, its leadership, the strategy you are following, and even the tools you are using. Use this invaluable feedback to fine tune your team's collaboration skills in order to make it an enjoyable and effective work experience for everyone. Using these helpful collaboration tips along with the technology and collaboration tools available today, even virtual eLearning teams can effectively communicate and stay on track in order to create high quality eLearning deliverables. Regardless of your niche, client base, or target audience, following these collaboration tips can offer you the opportunity to boost your team's collaboration. Last but not least, would you like to know why eLearning Projects fail? The article Managing e-Learning Projects is the first in a series about eLearning Project Management. Check it out and learn the Top 6 reasons why eLearning projects fail.